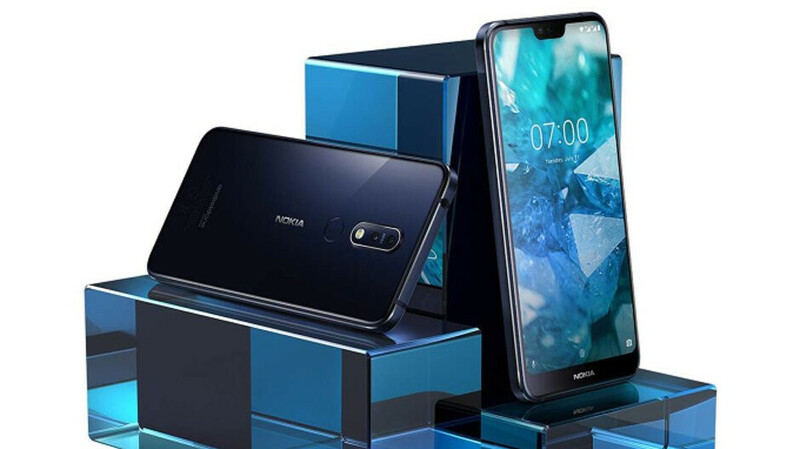 The most recent smartphone launched by HMD Global, the mid-range Nokia 7.1 is now available for purchase in the United States through various retailers. The phone comes unlocked and is fully compatible with GSM carriers like AT&T, T-Mobile, MetroPCS, and Cricket, but it will not work on Sprint and Verizon. Three major US retailers now offer the Nokia 7.1 for just $350: Amazon, B&H Video and Best Buy. Although HMD Global announced the smartphone will be available in Glossy Midnight Blue and Glossy Steel, just the former is up for grabs in the US, at least for the moment. Unlike the rest of the Nokia-branded phones launched by HMD, this one comes with Android 8.1 Oreo right out of the box, but the Finnish company promised an Android Pie update will arrive by the end of the next month. Nokia 7.1 may arguably be the best Android One smartphone available on the market, so expect a lightweight stock OS with a clean UI and no gimmicky skins that could drag the user experience. Bloatware is also kept to a minimum, as the Nokia 7.1 comes with a few HMD Global pre-installed apps. Not to mention that Android One smartphones should receive OS updates a bit faster than standard devices. I agree that the Nokia 7.1 is possibly the best Android One Phone on the market. Can’t wait to put mine through the paces to see how well it performs. Only one color? Come on Nokia, you could have at least released both colors since you barely release anything for the US market. And it's not fully unlocked since it only works on T-Mobile and AT&T. “The phone comes unlocked and is fully compatible with GSM carriers like AT&T, T-Mobile, MetroPCS, and Cricket, but it will not work on Sprint and Verizon.” This is straight from the article. There was never any claims made that it was “fully unlocked”, just “fully compatible” with AT&T, T-Mobile, MetroPCS, and Cricket. This has been known since this device was revealed, and is the same with all of HMD’s Nokia branded smartphones. I misread it. It was an honest mistake, so calm down. Only one that's not calm about it is you, so take your own advice. I said it was an honest mistake and I admitted that I read it wrong, so why are you still complaining? The only one that's complaining, and has been complaining, is you since I pointed out your "misreading" earlier. And I admitted that I misread it so why are you still complaining about it? I think you are looking for a conflict of interest regarding the article. You're the one that's complaining, not me. You're making a big deal out of me pointing out what you misread. You're taking this way too seriously because it was me that pointed out your mistake. You're using this as an excuse to start a fight here. I'm not complaining at all. You don't have to be difficult for the sake of being difficult. Like I said before, I already acknowledged that it was a mistake. Just let it go already. And don't think I haven't noticed you giving yourself a thumbs up with your other accounts. You are complaining, and it’s unnecessary. You’re complaining because it was me that pointed out the fact that you “misread” (read: didn’t read) the article. Calm down, stop complaining, and let it go, already. And don’t think I’m not lmmfao at the fact that you still can’t fathom that people just agree with what I’m saying, hence the green thumbs, and they disapprove of what you’re saying, hence no green thumbs. Not everyone here, especially me, needs to make 10 accounts here like you have. Lol, I don't care about getting a thumbs up. I just find it funny that you have to use your other accounts just to give yourself a thumbs up in a fight that you started. There was no need to keep going after I admitted that I made a mistake, but you just couldn't let it go. Lol, clearly you do care about getting thumbs up, or you wouldn’t be complaining about me getting them. It’s hilarious that you think that everyone has faux accounts like you do. You’re on your 10th account here, mxyzptlk. There was no need for YOU to keep this going after I pointed out your mistake, but you just couldn’t let it go, because it was me that pointed it out. I don't care about them at all. I just find it funny that you have to use your other accounts just to give yourself a thumbs up. Then you continue to project knowing good well that you are the one who has the 10+ accounts. I knew you were salivating at the mouth to point that out. You already made your point and I admitted that it was a mistake, so just let it go already. Lol, you do care about them, and you're seething with anger right now because all of your other nine accounts are deactivated or banned because of me, so you can't thumb yourself up. Everyone here knows about you and who you really are, and all about your multiple banned accounts. I know I made my point, but YOU are the one dragging this on because it was me that pointed out the fact that you didn't read the article correctly. Just let it go, already.